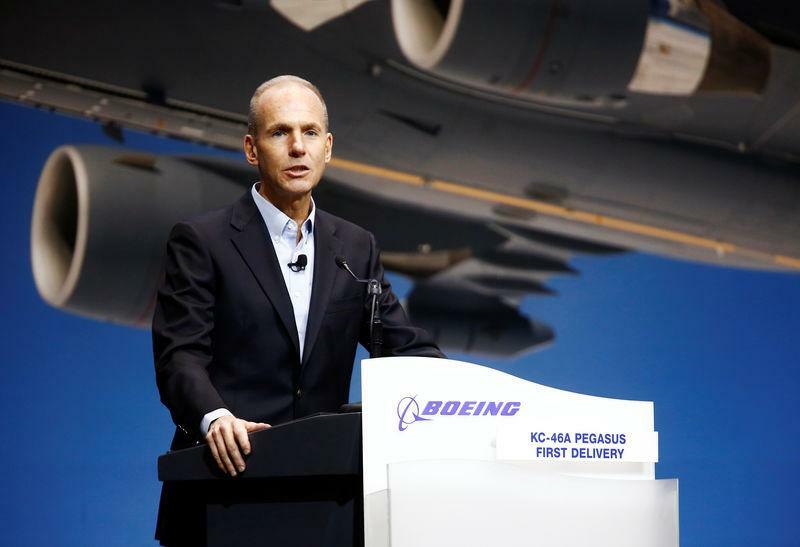 SEATTLE (Reuters) - Boeing Co Chief Executive Dennis Muilenburg, facing the biggest crisis of his tenure, said on Monday that the company understands "lives depend on the work we do" and was taking steps to "fully ensure" the safety of the 737 MAX jet in the wake of deadly crashes. Muilenburg said a software upgrade for the 737 MAX aircraft that the planemaker started in the wake of October's deadly Lion Air crash in Indonesia was coming "soon." Investigators into the Boeing Co 737 MAX crash in Ethiopia eight days ago have found striking similarities in a vital flight angle with the 737 MAX that came down off Indonesia, a source told Reuters, piling pressure on the world's biggest planemaker. The Ethiopian Airlines disaster on March 10 that killed 157 people led to the grounding of Boeing's marquee MAX fleet globally and sparked a high-stakes inquiry for the aviation industry. The Lion Air disaster involving a MAX 737 killed 189 people. "Based on facts from the Lion Air Flight 610 accident and emerging data as it becomes available from the Ethiopian Airlines Flight 302 accident, we're taking actions to fully ensure the safety of the 737 MAX," Muilenburg said in a letter addressed to airlines, passengers and the aviation community and released by Boeing on Monday. "We also understand and regret the challenges for our customers and the flying public caused by the fleet's grounding," Muilenberg said. Boeing is fully cooperating with the U.S. Federal Aviation Administration, Department of Transportation and National Transportation Safety board on all issues relating to the Lion Air and Ethiopian Airlines accidents, Muilenburg said. He said work was "progressing thoroughly and rapidly" to learn more about the Ethiopian Airlines accident and understand information from the airplane's cockpit voice and flight data recorders. Boeing's software fix was developed in the aftermath of the Indonesia crash when regulators suggested false sensor data could cause a system known as MCAS (Maneuvering Characteristics Augmentation System) to overreact and make the jet difficult to control. Muilenburg said the software update and pilot training revision "will address the MCAS flight control law's behavior in response to erroneous sensor inputs."